Luxury car manufacturer by day transformed into Zombie machine by night! 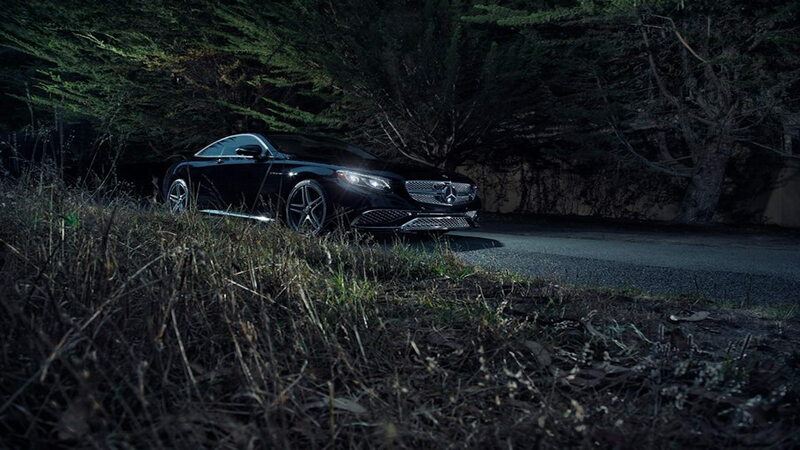 One doesn't necessarily find a Mercedes-Benz to appear scary. 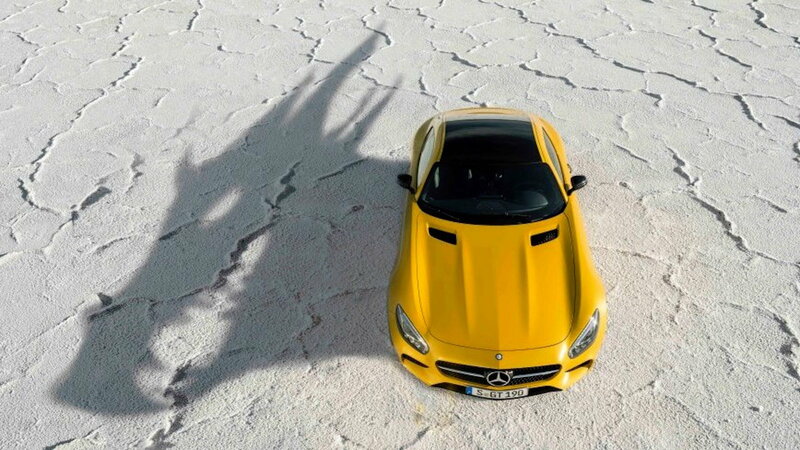 But, as a tribute to the celebrated holiday, Mercedes Benz took a picture of their esteemed GT casting a dragon's shadow as its silhouette. >>Join the conversation on the 5 Times Mercedes-Benz Celebrated Halloween here in MBWorld. Last year for Halloween, Mercedes-Benz transformed a couple of their cars into zombies and placed them in setting that reflected a ghost town or "zombie town." 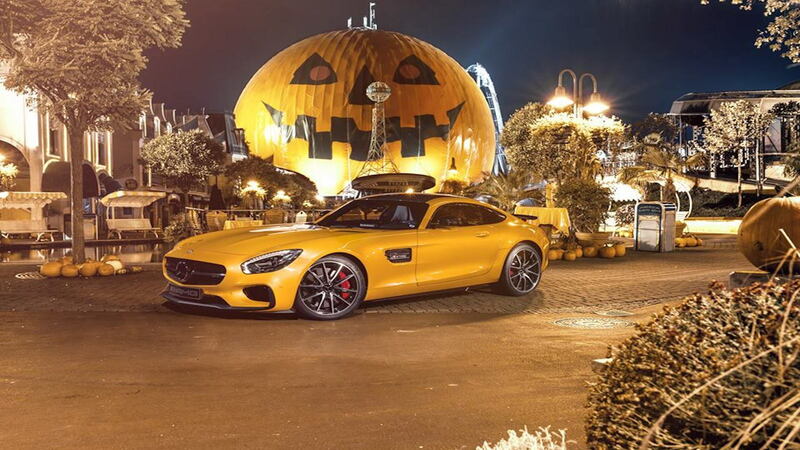 A yellow GT was placed strategically with pumpkins and lanterns for the ultimate Mercedes spook. 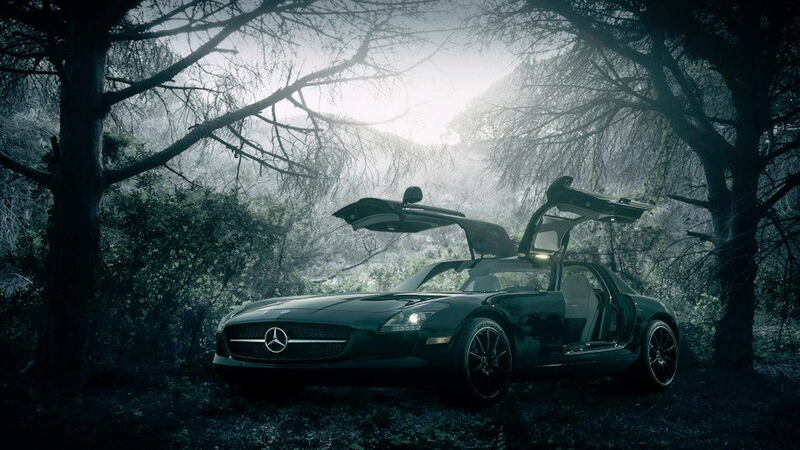 As another marketing act, Mercedes-Benz disguised the "black widow SLS" in the dark forest setting much like what we see in Sleepy Hollow! 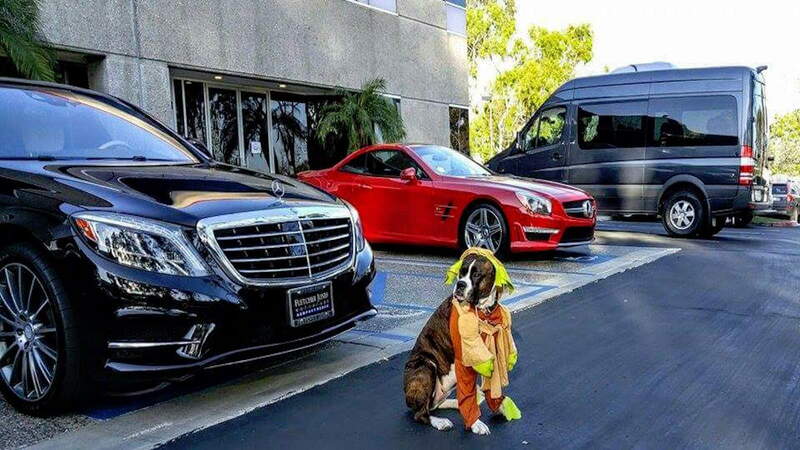 A Mercedes-Benz dealership sponsored an event for dressing your pet up for Halloween, which features your pet in their favorite costume next to your personally owned Mercedes-Benz. The submissions were overwhelming and a great way for Mercedes-Benz to attract clients new and existing. 5. Black Cat or Black Series? As a way to raise awareness of the new black series Mercedes-Benz, dealerships found a clever way to use a play on words to highlight the black series Benz. The picture is set on a dark road with just the headlights illuminating the path. Much like what would appear if you saw a black cat crossing the street at night. Spooky!